SMART Sports and ABC 5 are getting into boxing in a big way with their first major venture “Bakbakan sa Sinulog” at the plush ballroom of the Waterfront Hotel in Cebu City on January 14. While boxing has always been part of the celebrations during the Sinulog week this will be the first time that Smart Sports and ABC 5 will team up to present a blockbuster fight card headlined by two of the most promising young Filipino fighters who are world-rated, alongside some of the country’s most exciting amateur finds. 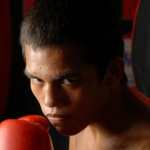 Undefeated 21 year old Milan “Melinyo” Melindo (19-0, 5 KO’s) who is ranked No.1 by the WBO, No. 3 by the WBA and IBF and No. 5 by the WBC in the minimum weight division will move up in weight to challenge 22 year old WBC Intercontinental Youth flyweight champion Anthony Villareal of the United States in the main event. Negotiations are underway to get a top-class bantamweight to battle southpaw sensation AJ “Bazooka” Banal who is rated No. 5 by the IBF and the WBA and No. 7 by the IBF in the co-main event. Smart has consistently sponsored the world title fights of pound-for-pound king Manny Pacquiao and bankrolled the “Yanig sa Taguig” fight card in which Pacquiao demolished Thailand’s Fahsan 3K Battery in four rounds to win the vacant WBC International super featherweight title before some 30,000 cheering fans at The Fort on December 11, 2004. Pacquiao’s phenomenal achievements have inspired scores of young Filipinos to take up the sport and carve a name for themselves internationally and Melindo and Banal are among these promising youngsters. The decision of Smart Sports and ABC 5 to venture into presenting big time fight cards featuring world class Filipino fighters on a regular basis is certain to provide an added incentive to young fighters. Their innovative approach of featuring professional and amateur fighters on the same card is bound to help develop a roster of amateur standouts for the Amateur Boxing Association of the Philippines under its Chairman, the eminent businessman-sportsman Manny Pangilinan and its president Ricky Vargas, a key executive of PLDT-Smart.